Last Saturday, I ran in DC’s Hot Chocolate 15k, which was sponsored by Ghiradelli chocolate and benefited the Ronald McDonald House. Let’s just say the race was an organizational disaster. The company putting on the race started making changes about a month ago—requiring carpooling for parking close to the race, changing parking lot shuttle times from 6:45am to 6:15am, changing the slowest pace allowed from 16 min/mile to 15 min/mile, redesigning the course itself…the list goes on and on. All this meant that the problems at the race weren’t a surprise. On race day itself, I got up at 5am, got dressed, ate, and headed to Crystal City to catch a 6am shuttle (since I didn’t want to risk missing the last one at 6:15). My bus driver got lost going from Crystal City to the National Harbor and there was a ridiculous amount of race traffic, so what should have been a 20-minute bus ride turned into an hour and 15 minutes. But, hey, at least I was warm. It was 28 degrees outside, and the sun wasn’t out that early, so when I got off the bus it was very cold. You can read about the rest of the fiasco in the race organizer’s apology post on Facebook. Whatever the reasons, the race was delayed over an hour, so by the time we actually started, I had been standing outside for over 2 hours and was so cold I’d stopped feeling my feet. Once the race started, it took me 2 miles to really warm up. However, I ran with my friend, and we decided to take it easy and just enjoy the 9 miles. So, we talked, we ran, we saw several friends cheering us on, and we ate delicious chocolate fondue and indulged in thick hot chocolate at the finish line. All in all, I’m glad I ran the race, I enjoyed spending time with Kelly, and I felt good when I finally got home. In my head, it was definitely a reason to celebrate, so I busted out the bubbly! 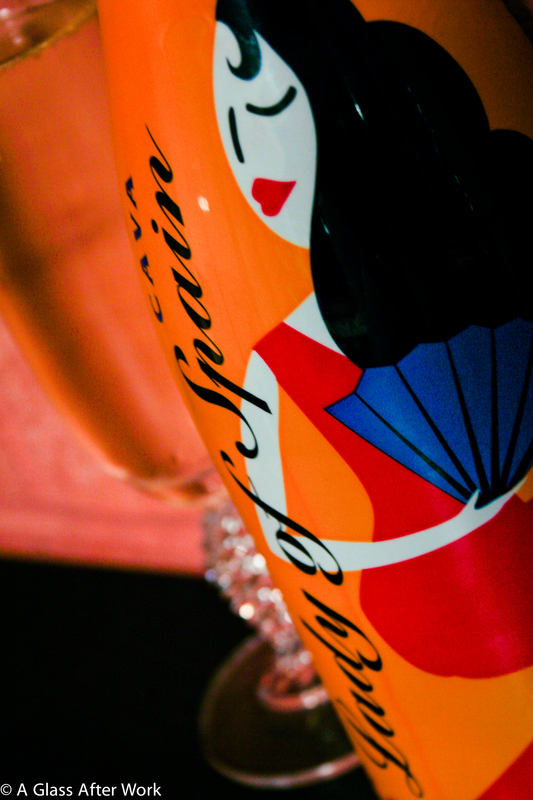 The Paul Cheneau Lady of Spain Cava was 45% Macabeo, 40% Xarello, and 15% Parellada grapes. It was a medium yellow with a lot of small, persistent bubbles. On the nose, there were grapefruits, limes, and mangos. In the mouth, there are grapefruits, limes, mangos, and bananas with the slightest hint of creaminess. The wine is light-to-medium bodied and good acidity. Is this worth a glass after work? Sure…you won’t be drinking anything out of the ordinary, but you’ll have a decent, reliable glass of wine. At a suggested retail price of $10, this bubbly offered something a little different with all of the tropical flavors. I enjoyed a few glasses while recovering on the couch with my knitting. I think it truly shined, though, when mixed it with some orange juice and made mimosas later in the evening. Before I knew it, I finished my 15k celebration by finishing the whole bottle! Question of the Day: Do you ever open a bottle of sparkling wine just because you feel like it or does it tend to be something you save for special occasions?